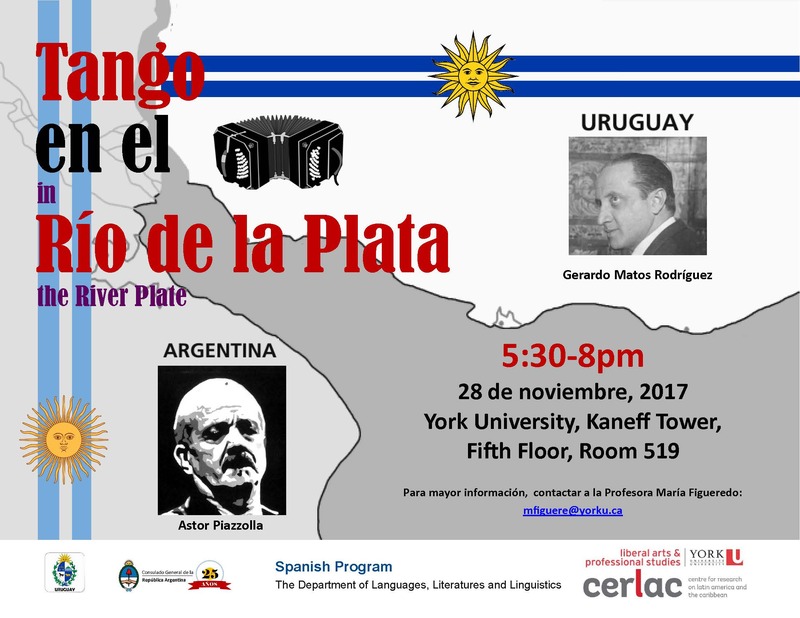 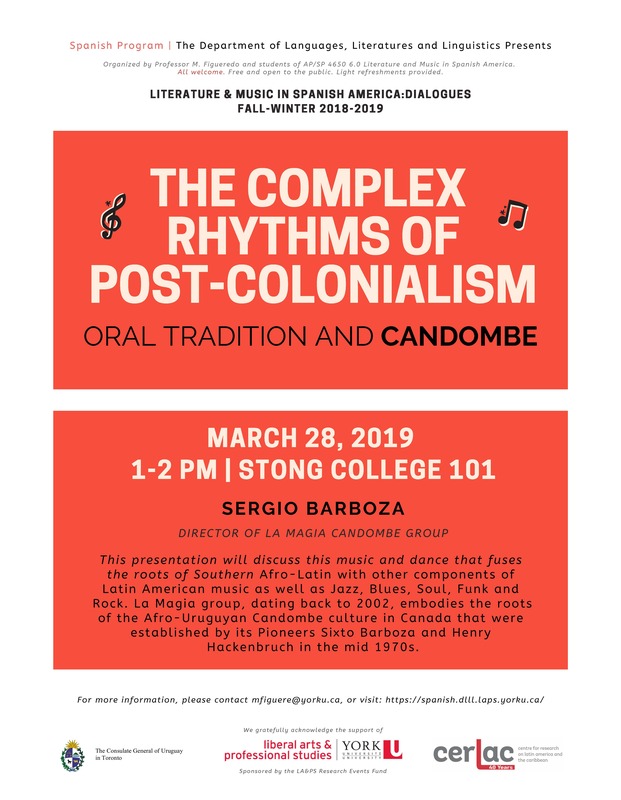 We host a range of events, from large public lectures, performances and film showings to smaller seminars, across a broad spectrum of topics related to the linguistics, literary, and cultural expressions and realities of the Spanish-speaking world. 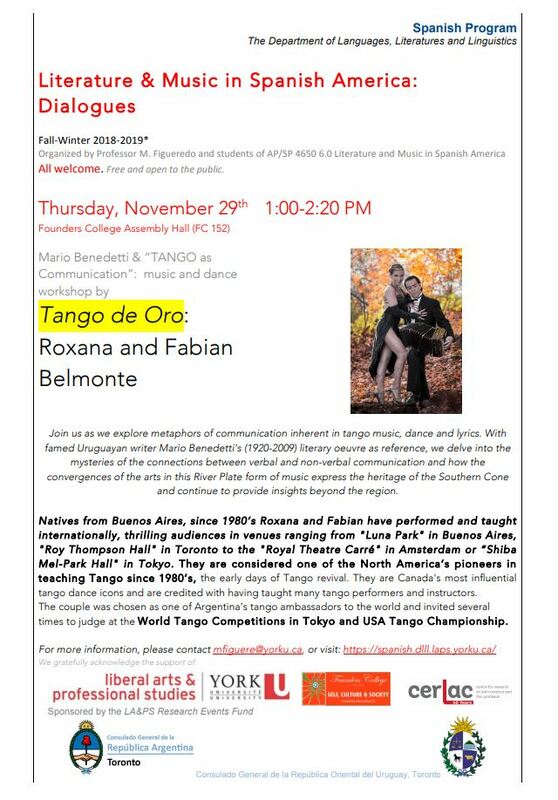 Unless otherwise stated, our events are free and open to all. 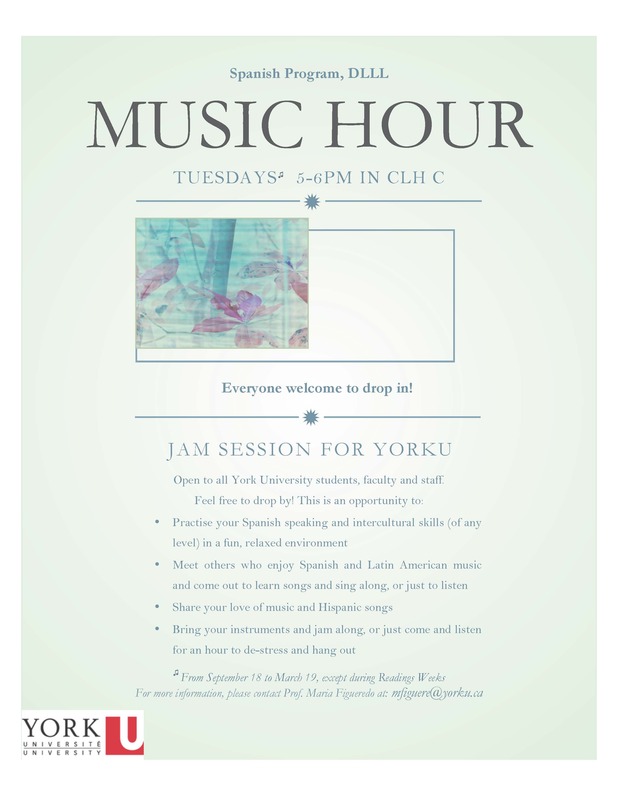 Join our weekly Music Hour! 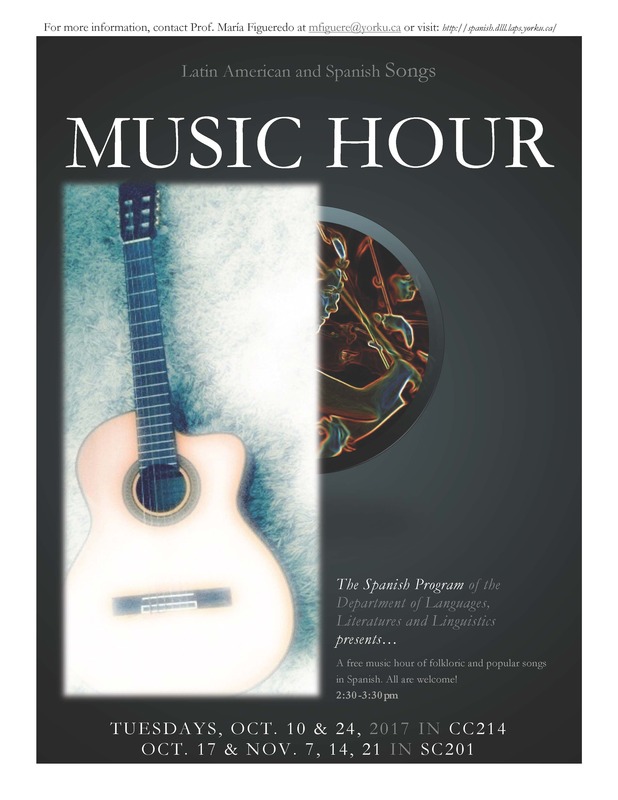 Don't Miss our Spanish Music Hour! 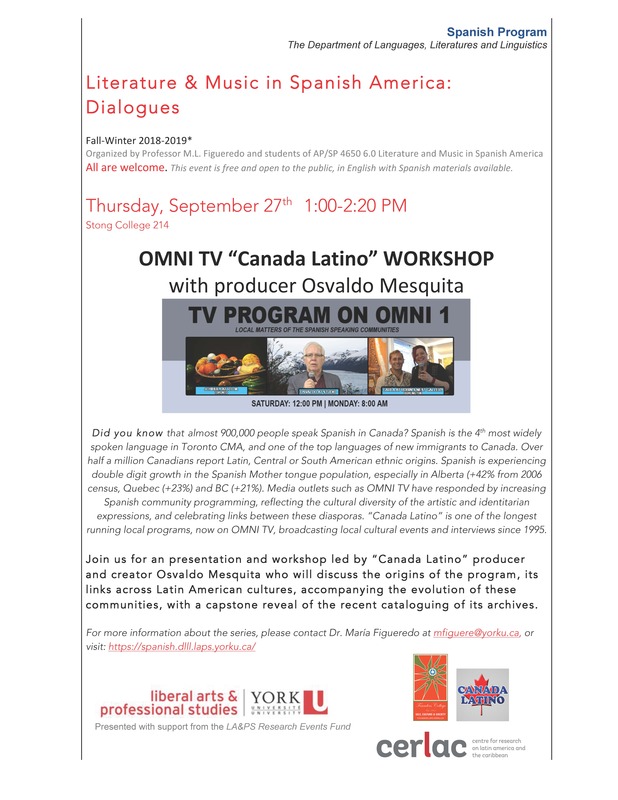 As a Spanish program student you will be able to take advantage of the Multimedia Language Centre dedicated to supporting students who are enrolled in language, literature and linguistics programs. 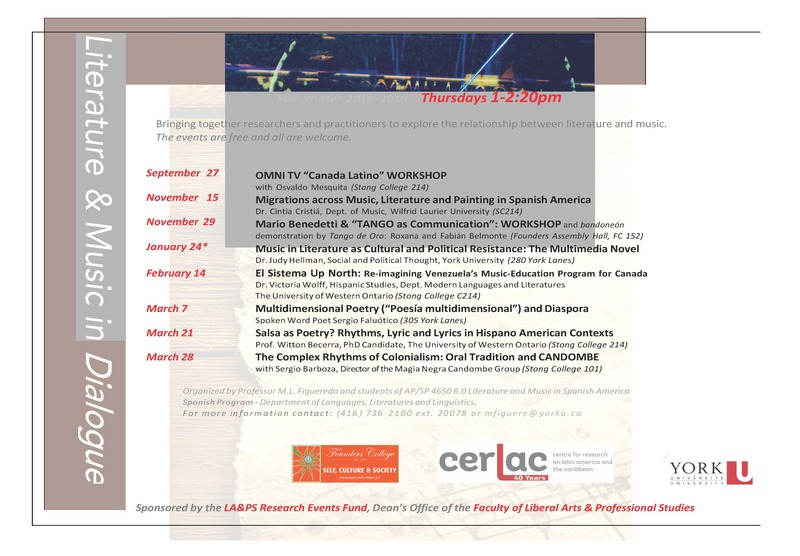 Our respected Centre for Research on Latin America and the Caribbean (CERLAC)is the locus of research on the economic development, political and social organization and cultural contributions of the region. 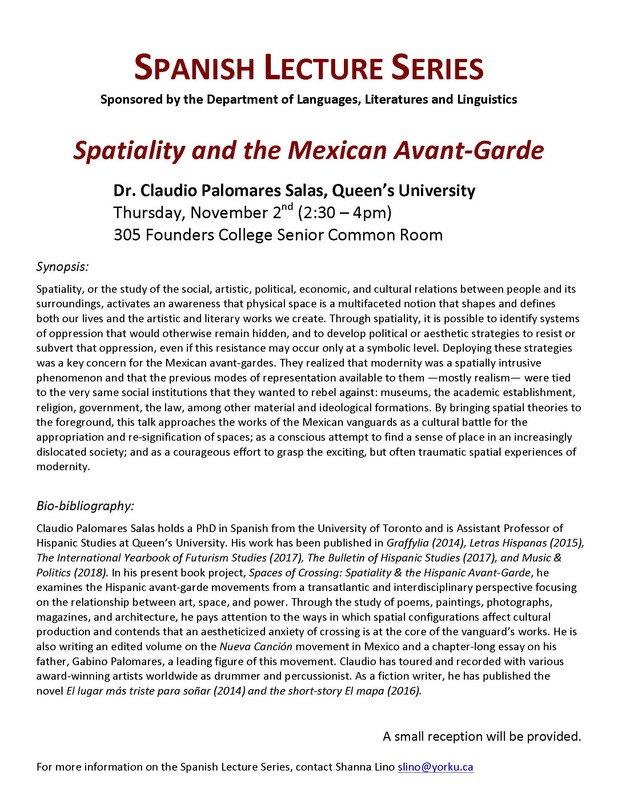 Canadian Canadian Association for Latin American and Caribbean Studies (CALACS) was founded in 1969 with the following purposes in mind: to facilitate networking and information exchange among persons, in Canada and abroad, engaged in teaching and research on Latin America and the Caribbean; to foster especially within Canadian universities, colleges, and other centres of higher education, the expansion of information on and interest in Latin America and the Caribbean; and to represent the academic and professional interests of Canadian Latin Americanists. 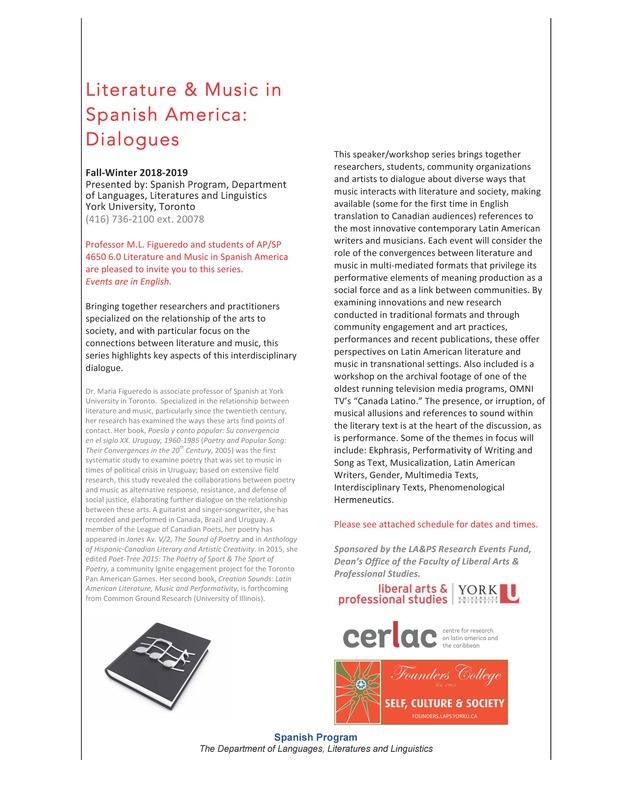 Español en Glendon — Spanish Resources. 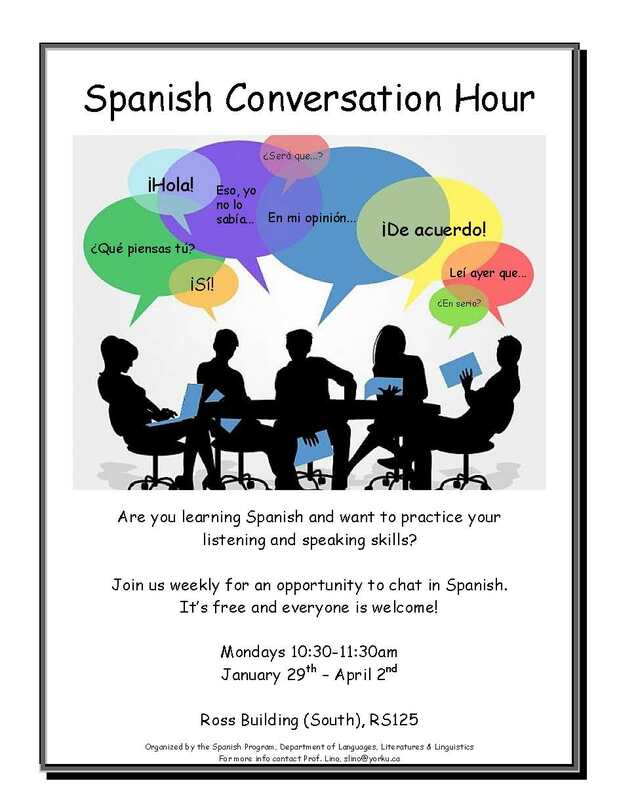 The Spanish Resource Centre located on the Glendon Campus provides multimedia Spanish-language materials for your benefit.